Showtime has released the official trailer for season six of its Emmy and Golden Globe-winning hit drama series Homeland, which will premiere on Sunday, January 15 at 9 p.m. ET/PT. Back on U.S. soil, this season focuses on the aftermath of a U.S. presidential election and the transition between election day and the inauguration for a president-elect, played by acclaimed stage and screen actress Elizabeth Marvel. Guest stars this season include Hill Harper (Limitless), Robert Knepper (Prison Break), Patrick Sabongui (The Flash), Jake Weber (Medium) and Dominic Fumusa (Nurse Jackie). Currently in production in New York, Homeland stars Emmy, Screen Actors Guild(R) and Golden Globe Award winner Claire Danes, Emmy nominee Rupert Friend, Elizabeth Marvel, Oscar winner and Emmy nominee F. Murray Abraham and Emmy and Tony Award winner Mandy Patinkin. After she thwarted a terrorist attack in Berlin, season six picks up several months later and finds Carrie Mathison ([Claire Danes}) living in Brooklyn, New York. She has begun working at a foundation whose efforts are to provide aid to Muslims living in the U.S. Season six will tackle the after effects of the U.S. presidential election, with the entire season taking place between election day and the inauguration. It's a strange, transitional time in the halls of government filled with anxiety and different competing interests, where a very fragile and complex transfer of power takes place between the outgoing president and the incoming president-elect. Produced by Fox 21 Television Studios, Homeland was developed for American television by Alex Gansa and Howard Gordon, and is based on the original Israeli series Prisoners of War by Gideon Raff. This season brings the show back to the United States, after spending the last two seasons abroad. The fourth season was shot in South Africa, while Homeland Season 5 was filmed in Berlin. While the show will return to the United States this season, Alex Gansa revealed in a recent interview that he hopes to shoot one of the two final seasons, preferably the eighth and final season, in Isreal. This would bring the Showtime TV series full circle, since it was adapted from the Israeli series Prisoners of War. Along with Gansa and Gordon, the executive producers for season six will be Chip Johannessen, Lesli Linka Glatter, Michael Klick, Patrick Harbinson, Claire Danes, Gideon Raff, Avi Nir and Ran Telem. Showtime is currently available to subscribers via cable, DBS and telco providers, and as a stand-alone streaming service through Apple, Roku, Amazon and Google. Consumers can also subscribe to Showtime via Hulu, Sony PlayStation Vue and Amazon Channels. For more information about Homeland, follow on Twitter and Facebook, and join the conversation using #Homeland. 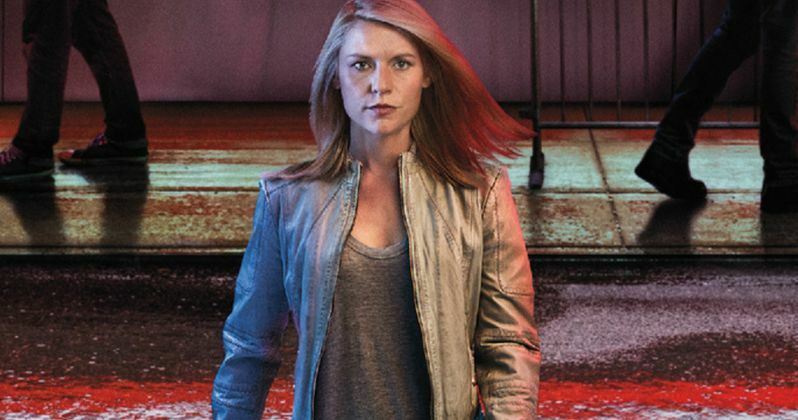 Take a look at the new trailer for Homeland below.